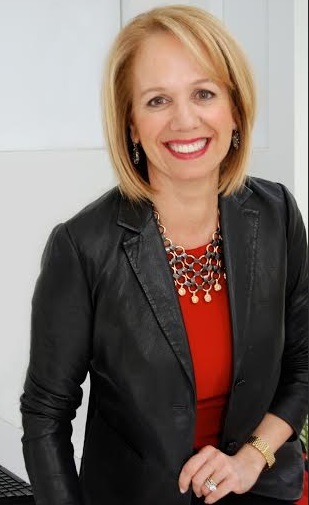 Liz Kaplow is the founder and CEO of Kaplow Communications, a leading public relations and communications agency that connects brands and products with consumers and influencers through the art of storytelling. She founded the agency in 1991 and has built it into one of the top mid-sized PR agencies in the country. Today, Kaplow is recognized not only for its strong media and influencer relations capabilities, but also its innovation in social, digital and content creation. The combination has earned the agency many awards and honors, including the coveted Holmes Report “Consumer Agency of the Year” and a Gold Sabre Award for Branded Journalism. Liz Kaplow is also Past President of New York Women in Communications, a member of the Board of Governors of Cosmetic Executive Women, and an advocate for the advancement of women into leadership roles. What drew me to the industry was the idea that every brand has a unique story to tell and that story -- properly told -- can really resonate with the consumer. Public relations is, at its core, all about storytelling. My fascination with authentic storytelling began when I was working on my senior project at Vassar on the poet William Carlos Williams. I found the plain, authentic language he used in writing about the people of Paterson NJ to be compelling. After graduation, I spent a year at FIT in their Marketing/Communications program. In the branding/PR class, the professor broke us up into PR Practitioners and Media and had us role-play. I fell immediately in love with PR and never turned back. After spending many years at an agency, I launched Kaplow Communications 25 years ago. Tell us about Kaplow Communications. What inspired the idea and what is your vision for the company? The idea was simple: I wanted to create a place where brands could come to have their unique stories told. That vision continues to propel us forward. I specifically chose the name Kaplow Communications (not Kaplow PR) because I liked the idea of going beyond the strict definition of Public Relations to include all of the tools of communications. Today, we are using social media, digital marketing, content development, influencer engagement and more to tell our clients’ stories. We continue to embrace whatever lies ahead in this ever-evolving industry. The communications industry has changed dramatically in recent years – and continues to evolve. It’s exciting to be able to reach the consumer at so many different touch points. We remain open to leveraging any and all new forms of communication, because – at the end of the day – it’s about finding the best ways to tell our clients’ stories. It’s one my mother, who is an artist, taught me: Approach every situation like a blank canvas. It is a chance to create something new. One brand story, one brand message, told many ways. Live and learn in a 360-degree way. It’s important to understand what’s happening in the world outside your area of focus. You never know where you find inspiration. Don’t be afraid to say “yes” to something you haven’t done before -- even if it's not your core area. It’s an opportunity to learn. Finally, work with integrity. Always try to do the right thing and you’ll be able to sleep at night. Describe the ideal experience using Kaplow. Every experience is different. What each client will find, though, is a team that is passionate about uncovering that authentic brand story and then finding new and creative ways to tell it. I always liken the experience to the acronym TREE: Trust, Respect, Energy and Enthusiasm. It is something that makes Kaplow a learning environment and encourages creativity and risk taking. We’ve tried to create a culture based on trust and mutual respect – one that encourages creativity and innovation. We hire smart, talented and resourceful people, and then empower them. It’s important to know when to step in and when to step aside. My real wish would be chocolate chip cookies and milk. I have learned to love kale, but in truth it is vile and everyone knows it. A real mix. I love poetry from Maya Angelou to Richard Blanco. I just finished Elizabeth Gilbert’s historical novel The Signature of all Things. I enjoy being transported to another place in time yet seeing modern themes that are relevant today. I’m a big fan of Meg Whitman, the CEO of Hewlett Packard. I’ve learned so much from watching her leadership style. She has an incredible ability to communicate the big idea and then rally the team to make it happen. My parents are my greatest role models. My dad, a textile executive, taught me good old-fashioned problem solving and my mother, a talented artist, taught me to look for creative answers. I try to follow their lead every single day in all aspects of my life. Playing the guitar. I recently purchased a beautifully restored Yamaha guitar, which has taken me back to my college days when I played guitar in coffeehouses. Italy! I love the people, the fashion, the food and the wine – especially the Franciacorta wine region, which recently became a Kaplow client. I’m not going to predict the future because I know the communications industry will continue to evolve. But, I’m excited about the white space ahead and eager to see what new vehicles for story telling emerge. Whatever lies ahead, one thing that is certain…we will embrace it.